Welcome to my stop on the Rough Writers Tour Around the World as we launch the first flash fiction anthology from the Carrot Ranch on-line literary community. If you’re new here, you might be wondering why a memoir writer is peddling flash fiction? And we’ll get onto that, but first, you might also need to understand my brain works in a mysterious way. I seem to discover what’s going on in my subconscious by writing it out. So first I need to tell you a little story about myself. ..Growing up, I learned a very specific way of worming a cat. And because I learned it from my mother, I didn’t question it for many years. I grew up in the country and we always had cats, all of them waifs and strays collected by mum on her rural rounds as a district nurse. Poor things with broken legs or in various states of malnutrition. They were often great hunters, used to fending for themselves. Great hunters eat just about anything and inevitably a fair few parasites. Most commonly, tapeworms and roundworms. Being a nurse of yesteryear, my mother gave short shrift to the namby pambying of pets or children. There was only rarely a day off school for feeling ill. You had to prove you had broken bones or be delirious with a temperature of 104. But occasionally she would see fit to worm our semi-feral cats who weren’t all that keen on any medical intervention themselves. It was a two-person job. I can only assume my her methods had something to do with the fact she had also been a midwife. The poor cat was swaddled in old bath towels from the neck down, to immobilise all four paws and their claws. One person held the towelling rocket, with its, by-now, hissing and spitting head, while the other prised open the jaws and attempted to insert the tablet into the back of the mouth. The element of surprise now lost, the cat’s tongue was busily transmogrifying into a highly effective tablet-ejector. It was often a bloody affair when the person holding the bundle failed to contain all those claws or the cat simply bit down hard on the finger entering its mouth..
How To Worm a Cat, was the title of the 4th speech I delivered to the Stratford and South Warwickshire Speakers Club. I had had to pick a subject that would lend itself well to demonstrating I could use gestures and body language. This might seem a trivial aside but having spent my professional career side-stepping roles that required any element of speaking to a crowd, I hadn’t imagined ever joining a speakers club! But… Unfortunately, I was invited to, only 24 hours after declaring this to be the year of saying yes to the bearer of the invitation. Sometimes being forced to have a go at something, helps you develop something unexpected. And this was definitely true when I felt I had to have a go at Flash Fiction. I’ve never been a good liar so making stuff up, seemed a certain failure. The unexpected outcome of persisting past the extreme discomfort this caused, was like a mental stretch – the sudden release of a tension that let me reach further. Overall the biggest benefit to me was letting go of perfectionist tendencies which often lead to paralysing procrastination! It was day two of a course in cognitive behavioural coaching when it finally dawned on me that other people, normal people, do not seek perfection in everything they do. Apparently the negatives outweighed any potential positives, most of the time. It’s one of those crystal clear memories. I remember the exact moment: where I was, who I was with. I remember a rush of adrenalin and an audible “Oh” escaping my mouth and all those other evidently more perfect people around the table looking at me with a mixture of sympathy and superiority. I blushed with shame. Of course, it is much much easier to have a go at something new when those watching are behind you all the way. At the Carrot Ranch and at the Speakers club, feedback is positive and constructive and I’ve felt free to learn not only by doing but watching and joining in with others who have been at it far longer. No surprise then, my first speech at the speakers club was about perfectionism nor any surprise when Charli Mills at the Carrot Ranch asked me to write an essay for the Rough Writers first anthology, I decided it had to be about how participating had been a surprising instrument to overcome perfectionism. Extract from my essay in the anthology. You can’t always distil perfectionism from reasoned self-doubt or attention to detail but you can spot it in certain behaviours. It’s of clinical interest, disordered behaviour, when it stops you doing small things and things you really do want to do that won’t harm others. (It can be a good thing in certain situations: think concert violinist, brain surgeon.) My kind of perfectionism means procrastinating writing projects I dearly want to succeed with. Either they grind to a halt or never start. (If I don’t start they can’t be bad.) But things like ironing don’t get done either because I think I should get around to the writing first. Or the house is dirty because cleaning the bathroom takes up two hours because I obsessed about removing limescale around taps using an old toothbrush. The cognitive-behavioural way of fixing these issues, as with most behaviours, is to practice new and better, more helpful, thoughts and actions and congratulate yourself for doing so. Iron five items, ​not the whole pile, just wipe the taps. The limescale can wait. Congratulations! There’s still time left to write. But it’s much harder to see in the actual writing. Having a go at being imperfect means moving past phrases that don’t quite work or making do with the first thing that pops into your head rather than waiting hours for the sixth idea in case it’s better. Wanting to write a perfect memoir, had paralysed the first draft. I was still rewording the first 10,000 words whenever I opened the file. To finish the rest, I realised I needed to practice being content with something ‘good enough’ and moving on to write the next bit. Inadvertently, practising​ flash fiction in a constrained time-period, forced me to do just this: To be satisfied with 80% rather than dwelling on the 20% further potential. I learned in a very small way to get over myself. I am good enough. The words are good enough. So the practice is important, but the support to do so will help you accelerate the progress. The right community will provide the congratulations for having a go even if you would still be too hard on yourself. If you find the right community you can tackle all sorts of new things. And this first anthology from the Carrot Ranch is testimony to Charli’s determination to create an online literary community so that being anywhere in the world, means you can still have a go in the company of others. The impact of practising flash fiction (and I confess, I haven’t even done that much) has genuinely had a permanent and positive impact on me forever. But back to the task of worming a cat. Some things are worth perfecting 100% but working out how on your own, can lead to bizarre and ineffective practices! I’m pleased to say a vet eventually taught me the mechanics of restraining and immobilising a cat to worm it in a much less harrowing manner.. I was quick to share this with Mum and subsequent generations of cats have been spared the cat equivalent of water-boarding. So if you’re thinking of dabbling with Flash Fiction or even think you’re already an expert, I would urge you to visit the Carrot Ranch to see how it’s done over there. Better still get hold of a copy of this first anthology, edited by Sarah Brentyn, one of my favourite bloggers. It contains much more than collections of short stories. We share what we’ve learned together to save you developing weird and unnecessarily torturous ways of beginning. ..And amongst the essays there’s an almost perfect one on perfectionism. Please see last weeks post for a bit more on how to participate in the Carrot Ranch Flash Fiction prompts. You never know where 99 words might take you! If you want to revisit any of my flash fiction, just type Flash in the search bar. Anthony Amore, Rhode Island, USA; Georgia Bell, Toronto, Ontario, Canada; Sacha Black, England, UK; Sarah Brentyn, USA; Norah Colvin, Brisbane, Qld, AU; Pete Fanning, Virginia, USA; C. Jai Ferry, Midwest, USA; Rebecca Glaessner, Melbourne, Vic, AU; Anne Goodwin, England, UK; Luccia Gray, Spain; Urszula Humienik, Poland; Ruchira Khanna, California, USA; Larry LaForge, Clemson, South Carolina, USA; Geoff Le Pard, Dulwich South London, UK; Jeanne Belisle Lombardo, Phoenix, Arizona, USA; Sherri Matthews, Somerset, UK; Allison Mills, Houghton, Michigan, USA; Charli Mills, Hancock, Michigan, USA; Paula Moyer, Lauderdale, Minnesota, USA; JulesPaige, Pennsylvania, USA; Amber Prince, North Texas, USA; Lisa Reiter, UK; Ann Edall-Robson, Airdrie, Alberta, Canada; Christina Rose, Oregon, USA; Roger Shipp, Virginia, USA; Kate Spencer, British Columbia, Canada; Sarah Unsicker, St. Louis, Missouri, USA; Irene Waters, Noosaville, Qld, AU; Sarrah J. Woods, Charleston, West Virginia, USA; Susan Zutautas, Orillia, Ontario, Canada. 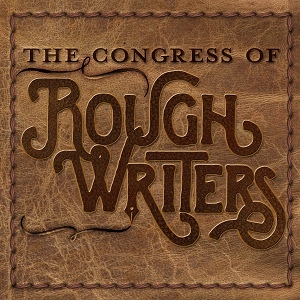 The Congress of the Rough Writers Flash Fiction Anthology Vol. 1 is available through distrubution in 17 countries world-wide. Buy direct from our Print on Demand distributor at Book Baby. With a title like that, how could I resist and not read on. You gave me my laugh for the day! My sister has learned to get pills down her cats with a pill-popper. She lays the pill popper on the counter, which signals to the cat that if she wants to eat dinner, she has to take the pill. One day the cat didn’t want to wait, so it knocked the pill out of the popper, swallowed it, and then looked at my sister as if to say “okay, where is my dinner?” Wish I was that lucky with my toy poodle — can’t even disguise pills in peanut butter. He knows, fights and spits them out. My dog has us trained. He communicates regularly his needs. This week, in the Rough Writers Tour Around the World celebrating the inaugural Carrot Ranch Anthology, we are back in England with the wonderful memoirist Lisa Reiter. Lisa explains what value worming a cat and writing flash fiction have in attaining perfection. If you need help with perfectionism, Lisa is sure to help. So funny! Brian features heavily in our family vernacular too – The dyslexic element always writing that instead of brain. Nice to see you here. You can see I’m a bit of a Lone Ranger when it comes to blogging these days. I can’t find the time and no idea how the rest of you stick at it! The step by step process of de-worming the cats had me nodding my head and giggling. Thank you for sharing the story as it opened the door to memories of other such antics that were part of my growing up. Having read the Anthology, (more than once), your words, “To be satisfied with 80% rather than dwelling on the 20% further potential.” have stuck with me. These words hold true for anyone with the urge to write or participate in any craft that makes the perfectionist side rear its head. It’s has been a pleasure visiting with you on this leg of The Tour. Thank you for visiting Ann. I’ve just been over to take a cold spring walk with you. Now, that’s perfection! I realise increasingly, I’m finally letting go of perfectionism. It’ll always be a work-in-progress but gets easier as you spot it more readily. What a creative way to share your thoughts about perfectionism, flash fiction, the Carrot Ranch and the anthology. And I love the humor. I have struggled with perfectionism and your insight that ‘normal’ people do not was profound. What must that be like? Since I don’t tackle the limescale on the bathroom sink, now I’m wondering if I could be a better perfectionist. Haha! It took me a while to try flash fiction and even longer to share what I wrote, but it’s been worth it. We have to be willing to be a beginner if we are to grow, right? Thanks Molly. My way of working out my thoughts is quite time-consuming though.. and then when I think there’s some round-the-houses connection, it can take days to figure it out! All worth it for this anthology though.. so long as anyone can follow the trail back to the Carrot Ranch! The cat thing… *shudders* Great lead-in to speaking engagements and your perfectionism. I’ve battled with that for many years (pfft, I say that like I don’t anymore…I do). And you are spot on. It leads to a kind of procrastination. Slightly different than other kinds, mind you. We do eventually have to get to that point of ‘good enough’, though it is a challenge. I don’t know that I’ve ever been anyone’s favorite blogger! Is that because you don’t read many? 😉 Thank you, Lisa. You’re the bee’s knees. Whaaat??? Me? Not a cat person? OH, no no no. I was shuddering at the worming thing… Let us not discuss it any more. See you soon at the Ranch. How wonderful to be an experiment of one with oodles of success. May you continue on your journey of living life! I enjoyed reading your cat adventure. My hubby (while still living at home) tells the tale of how he helped to medicate his sister’s cat. The cat love his sister, after all she cured it, but hated my hubby who was in that handling the cat and keeping it immobile position! Your smile is infectious in a good way! May you continue to allow some perfectionist habits to, um… slide and I hope you inspire tons of folks to take your journey with you as you write on! Though if the prompt leads to a poem it could end up at the shorter or longer poetry sites. Cats are wonderful. I just read a book where a cat living at a book/ trinket store. I’d like to live at a book/ trinket store! Wonderful story about your cat-worming adventures and good use of memory to frame your post (written like a true memoirist). I appreciate the tips for managing perfectionism as I believe many writers suffer the affliction. Often, school and critique lead us to the false notion that imagination and creativity are second to grammar and perfectly placed commas. Thank you for sharing your craft and experiences, Lisa! It’s good to visit your place! I’ve got the Magic Roundabout tune in my head now, Lisa. Definitely a British thing. But is it still on? I loved Ermintrude. Fab name. Apparently it finished in 1977. Dates us terribly 😆.. There was a film though, more recently. The funniest line is when Brian shouts ‘charge’ and then of course, moves at a snail’s pace. Worth finding if you didn’t see it. Ermintrude was hilarious! They’ve update and digitised the series now. I didn’t mind that so much as they’d ruined the music!! I ride a horse for extra speed. It’s a western thing! 😉 I’ll have to look up Zebedee and Brian-the-Snail!